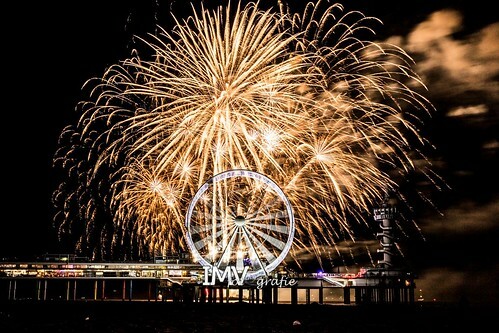 INTERNATIONAL FIREWORKS FESTIVAL SCHEVENINGEN 2018. The 39th event of its kind saw two weekends packed with some of the best pyrotechnics in Europe in a bid to win the title of ‘Most Spectacular Fireworks 2018. On 10th August 2018, the show had to be cancelled due to gale force winds and 6-foot waves! The remainder of the teams took centre stage over the 11th, 17th and 18th August. Last year’s winners Spain brought their ‘A game’ but they were beaten to the prize by the UK’s own Sirotechnics Fireworks who won Champion of Champions in the UK’s biggest pyro-musical competition in Southport in 2017 and were worthy winners in Scheveningen. Check out the display for yourselves and see first hand this classy display. Very symmetrical, huge perfectly spherical shell breaks, some incredible slow burning palms, ghost shells and of course, heart and smiley shells. It was nothing short of incredible so very well done once again to the UK beating the best of the rest of the World again this year.